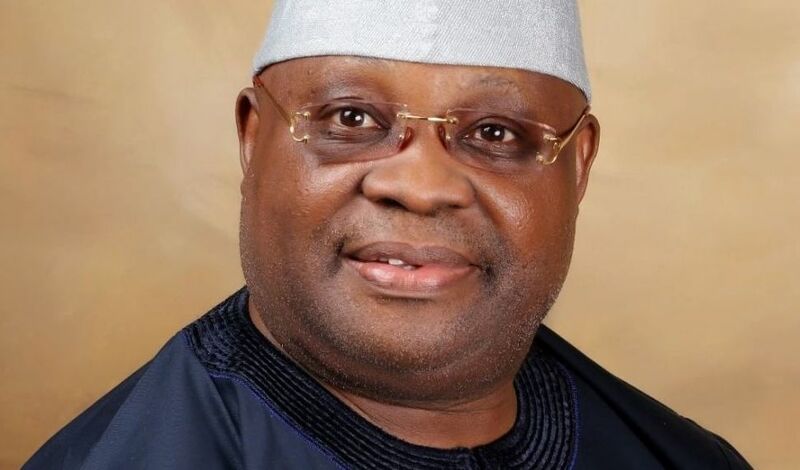 Peoples Democratic Party (PDP) candidate in the recent Osun State governorship election, Senator Ademola Adeleke, was arraigned on Wednesday and granted bail on personal recognizance by the Abuja division of the Federal High Court. Senator Adeleke, his brother, Sikiru Adeleke, and three others were arraigned on a four count charge of examination malpractice. The others are: Alhaji Aregbesola Mufutau (Principal, Ojo-Aro Community Grammar School, Ojo-Aro Osun State), Gbadamosi Thomas Ojo (school registrar) and Dare Samuel Olutope (a teacher). Upon their arraignment Wednesday by the Federal Government, the defendants pleaded not guilty to the charges against them. Counsel to Senator Adeleke, Chief Alex Izinyon SAN, informed the court of a bail application dated and filed on October 12. He informed the court that Senator Adeleke was currently enjoying administrative bail granted him by the police and had not jump bail, adding that Adeleke is a serving Senator and would always appear in court for his trial if released on bail. Similarly, counsel to the second and third defendants, Nathaniel Oke SAN and Abdulsalam Abdulfatah, respectively, moved the bail applications for their clients, while the court declined attempt by Oke to move an oral application for the 4th and 5th defendants. However, prosecution counsel, Simon Laugh, did not oppose the bail applications. In a short ruling, trial judge, Justice I. E. Ekwo, who noted that bail was at the discretion of the court, granted the applications as prayed adding that the prosecution while not opposing the motion admitted that the defendants were all on administrative bail. Consequently, the judge announced bail for Adeleke on self-recognizance while the 2nd and 3rd defendants were granted bail in the sum of N2m each. Senator Adeleke, as part of his bail conditions, shall sign an undertaken to always attend trial and shall not travel out of the country without the permission of the court. The second and third defendants on their part are to provide a surety each in the sum of N2m. The sureties in addition shall be owners of landed property in Abuja, which shall be verified by the registrar of the court. They are also to submit their international passports to the court and can only travel out of the country upon obtaining permission from the court. 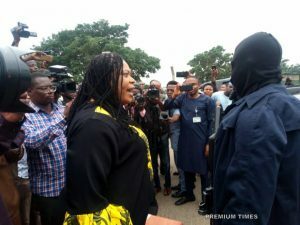 However, Justice Ekwo ordered the remand in prison custody of the 4th and 5th defendants, Gbadamosi Ojo (school registrar) and Dare Olutope (a teacher) since they did not apply for bail. He subsequently adjourned till December 17, 18 and 19 for trial. In the charge marked: FHC/ABJ/CR/156/2018, the defendants are accused of fraudulently, through personation, registering as students of Ojo-Aro Community Grammar School, Ojo-Aro Osun State to enable them sit for the National Examination Council (NECO) examination of June/July 2017. In the first count preferred against the defendants, the prosecution alleged that the five defendants “conspired to commit felony, to wit: examination malpractices, and thereby committed an offence contrary to section 10 of the Examination Malpractices Act Cap E15 LFN 2004”. In count 2, the prosecution alleged that the three members of staff of the school acted in concert by aiding and abetting “the commission of examination malpractice by personation” when they alleged “registered Senator Ademola Adeleke and Sikiru Adeleke” while knowing or having “reasons to believe that they are not students of the school”. The alleged offence was said to be contrary to Section 9(1) of the Examination Malpractices Act Cap E15 LFN 2004. In count three, the two Adelekes were accused of acting in concert, and “personated as students of Ojo-Aro Community Grammar School when you fraudulently registered as students of the school in the June/July, 2017 NECO”. The offence is said to be contrary to Section 3(2) of the Examination Malpractices Act Cap E15 LFN 2004. The fourth count accused the three members of staff of the school of “acting in concert” and while “saddled with the responsibilities of registering students of your school in the June/July 2017 NECO examination, breached that duty by registering Senator Ademola Adeleke and Sikiru Adeleke as students of your school in the June/July 2017 NECO examination when you know or had reasons to believe that they are not students of the school”. The fourth count was said to be contrary to Section 10(a) and punishable under Section 3(2) of the Examination Malpractices Act Cap E15 LFN 2004.